New Yorkers would agree that their forefathers made terrible use of the city’s natural geography when laying down its gridiron. Spread across a series of islands where the Atlantic narrows into a set of parallel rivers, the Big Apple is more like a scatter of slices tenuously tied together by an infrequent tunnel or bridge. Only in the last few years did each of the five boroughs realize the development potential along their shores rather than carving up urban canyons like Central Park. Green spaces have thusly grown in, and a new treasure has been recently reclaimed right in the heart of the city along its waterfront. A rock in the harbor where Manhattan, Brooklyn and Staten Island converge like battleships, Governor’s Island is a new point of interest on most locals’ mental map, as it was snagged by the United States Coast Guard and largely off limits to the public for the lion’s share of the city’s history. 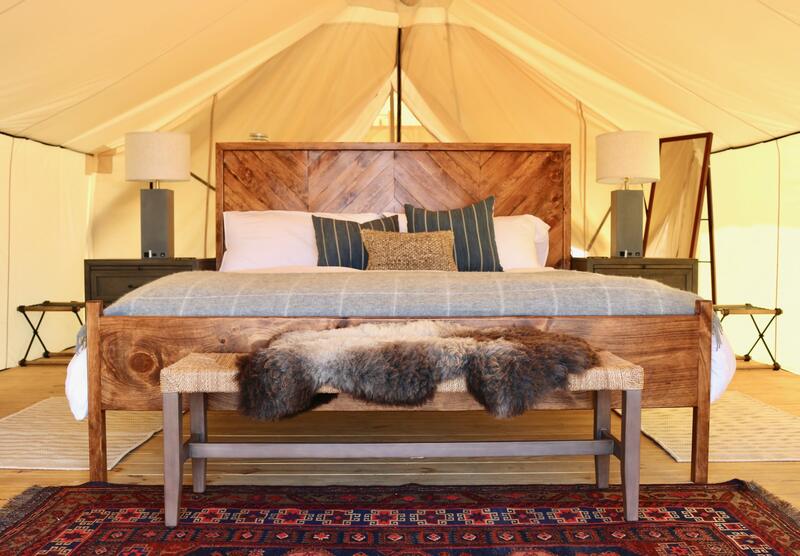 Around a decade ago, the National Park Service opened the island’s 120-plus acres to public picnickers, and this summer, for the first time, visitors will be able to spend the night snuggling up with 1,500-thread-count linens in chic safari-style tents. The new glamping (or “glamorous camping”) project is the brainchild of Collective Retreats, a vacationing concept buoyed by an infusion of venture capitalist funds that creates pop-up five-star accommodation on parcels of undeveloped land. Previous seasonal sites have included initiatives in rural Montana and the Hudson Valley, just a couple of hours’ drive north of New York City. For the Governor’s Island project, tents are grouped into two pods with a generous amount of green space in the middle, where guests can greet the day with morning yoga and play lawn games throughout the afternoon. In the evening, grab a DIY barbecue kit, or opt for the three-course “ferry to flame” menu; a nod to New York’s eclectic dining scene with fusion-Asian and Italian selections. Leave room for a second dessert and roast s’mores over the communal fire pit as the sun sets behind the Statue of Liberty. Day visitors can delight in a short-stay getaway as well. The on-site restaurant is public-facing, and the Friday evening ferry service now runs until 10 pm. But at 9:45 pm, when it’s time to head pier, you may have a hard time tearing yourself away from the well-articulated summer camp vibe. Looks like the “city that never sleeps” finally has its place to rest and relax. 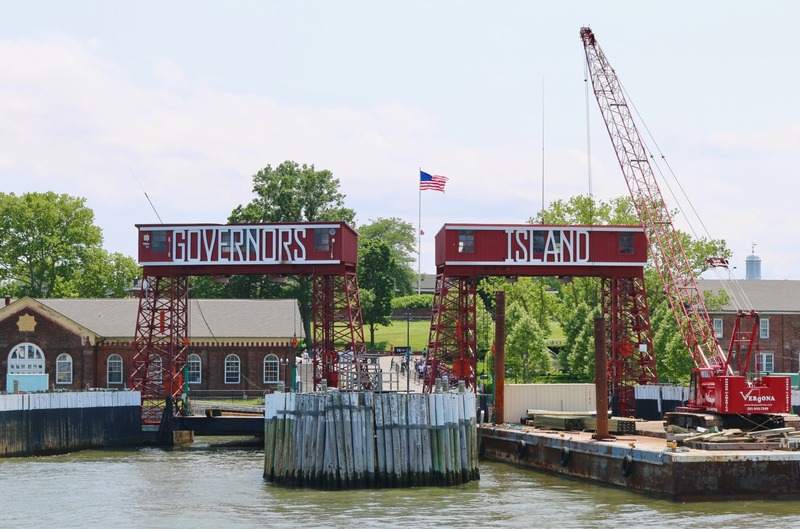 Governor’s Island is an eight-minute ferry ride from Lower Manhattan’s terminal, or a five-minute journey from the port in Brooklyn Bridge Park. Collective Retreat’s campus is a short 10-minute walk from the pier, on the western side of the island. Prices range from USD 125 to USD 700. A two-night minimum is required for weekending guests. The experience is open from June through the end of October. Icelandair flies to New York daily.